The Cayce readings tell us that “thoughts are things” and that means our thoughts themselves are energetic. They become physical after we have given them a certain amount of energy, but they are immediately “real.” Our thoughts create our bodies continually and they create all of our experiences. Our bodies and all of physical reality are really just thought-forms, which means anything that appears to be physically solid, and unchangeable is really energy, vibration, and spirit. What does this have to do with limitations? Because thoughts are things, anything we can think of, imagine, and give sufficient energy to can become real in our lives. We truly have NO limitations! Bob is a spiritual counselor, teacher, and writer, who has been active in the A.R.E. since 1975. A popular A.R.E. speaker and workshop leader in Northern California, over the past 30 years he has given presentations throughout the country, including at A.R.E. Headquarters. He is a dream expert, conducts past life workshops, and is able to speak on a wide range of spiritual topics. Bob is also a member of the Triangle A.R.E. Area Team in North Carolina as well as serving on the Core Team for the A.R.E. Southeast Region as Editor of the regional newsletter Southern Lights. He has published an A.R.E. Press book on the mind-body connection, written dozens of articles on various spiritual topics, including several for the A.R.E. Venture Inward Magazine, and has appeared on radio and TV programs. 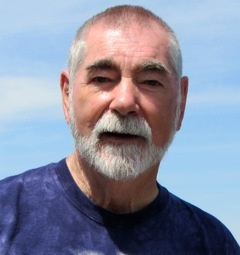 Bob is well known for his humor and mischievous sense of fun, his depth of knowledge, and for his ability to apply the spiritual principles in the Cayce readings within his own life. DIRECTIONS: Cordova, Tennessee (Memphis Suburb): Located in eastern Shelby County take I-40 exiting at Germantown Parkway South. Continue for several miles turning east at Walnut Grove Rd. and continuing for 2 miles. When the road transforms into 2 lanes first left turn is the Unity driveway. JOIN, RENEW OR GIFT A MEMBERSHIP TO A.R.E. Groups normally meet for 2 hours weekly at the home of one of the members. In each meeting they read & discuss the ASFG material, report their application experiences, share dreams, and meditate together. Many groups stay together for decades providing each other with valuable mutual support and long lasting friendships. The ASFG material was written to be helpful to individuals from all walks of life, all religious beliefs, and all backgrounds. Though this supportive small group environment you can form a personal relationship with the Divine with yourself and within your fellow man. Together, as part of a group, you can study and work with meditation, dreams, intuition, and universal laws. You can learn how you can be a "light to the waiting world," develop better communication with the Divine, improve cooperation with all aspects of your inner self, and discover more meaning and purpose in your life. Seven Active A Search for for GOD Study Groups in Memphis Metro Area. If your web site is affiliated with A.R.E., an A.R.E. SFG Study Group, A.R.E. Area Team or group recognized by the A.R.E. and would like to exchange links with our web site please contact us at pammartello@me.com. • Discover ways to avoid burnout, stay grounded, and respect ethics and boundaries by fully developing your gifts, you can improve the way you live your life. With warmth, humor, and down-to-earth guidance, Echo will help make your journey to psychic awareness fun, inspiring, meaningful, and applicable to your daily life. This course’s activities will enable you to interpret what you see and coach you to better define, understand, and practice your own unique gifts. For this experiential training, you must bring two photos of someone close to you (one could be of yourself) each in an envelope so that the picture is not visible AND one piece of jewelry of someone close to you or your own jewelry. Don’t miss this special opportunity to train with respected psychic medium Echo Bodine!